Ranney School is conveniently located at 235 Hope Road in Tinton Falls, New Jersey, just minutes away from Exits 109 and 105 on the Garden State Parkway and easily accessible by Routes 18, 36, 520 and 537 in Monmouth County. Our secure 60-acre campus and state-of-the-art facilities enhance the academic and social growth of our students of all ages. We invite you to attend an open house or schedule a visit to fully experience the Ranney difference. 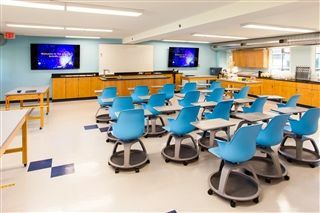 Ranney's 1,500 square foot state-of-the-art lab seamlessly integrates classroom instruction and lab activities. Digital technology and movable desks facilitate observation and a substantial faculty prep room and professional fum hood ensure safe demontrations for an extensive array of science classes. 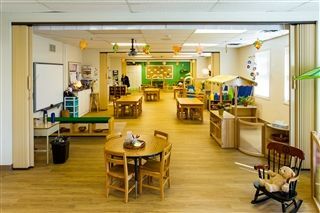 Our classrooms for Age 3 to Pre-Kindergarten students are designed to encourage exploration and creativity. 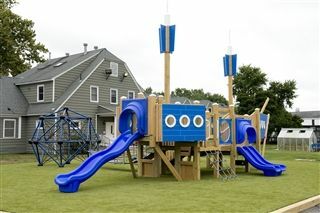 Students also enjoy the Searle Library Media Center, specialized classrooms in art, music, and world language, as well as our outdoor pirate ship playground. Our Kindergarten through Grade 5 classrooms are clustered in “learning neighborhoods” surrounding welcoming common spaces. Students also enjoy the Searle Library Media Center, a state-of-the art science lab, an Innovation Lab, and specialized classrooms in art, music, and world language, as well as our outdoor pirate ship playground. The Middle and Upper School wings include 33 classrooms, science and robotics laboratories, computer labs, and a foreign language lab. Students have access to the Paulus Library and Mann Student Center. 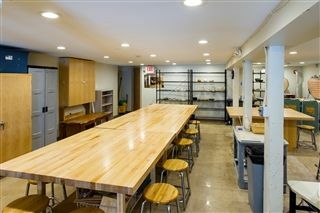 Upper School students also take history and science classes in the Annex building, home to the state-of-the-art Virdi Science Lab. 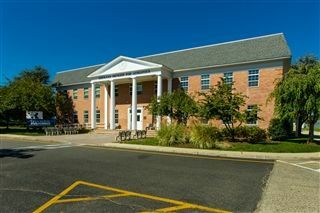 Ranney has two campus libraries. The Searle Library, located in the Annex Building, serves our Lower School Division and houses a new media center while the Paulus Library, located in the Middle/Upper School Academic Complex, serves our Middle and Upper school students. Ranney offers multiple spaces dedicated to the visual and performing arts, as well as various galleries on campus to display student artwork. Our student performances take place in Panther Hall, a 4,000 square-foot multipurpose space. Our dedicated Visual Arts building includes an Innovation Lab, upgraded studio spaces, a dark room and outdoor space for installations and creating. Ranney’s vast athletic facilities include two gymnasiums, a 25-meter indoor pool, a fitness room, an athletic training room, outdoor track, playing fields,indoor and outdoor batting cages, lacrosse wall, and a multi-court tennis center. Ranney's Innovation Labs are flexible maker spaces where our students bring creative ideas to life incorporating everything from traditional artist's and builder's tools to modern 3D printers and a green screen for student broadcasts. 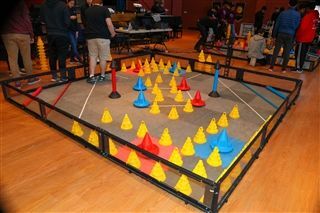 Ranney offers three dedicated Robotics labs where students create and prepare for regional, state, national, and global competitions working with an extensive inventory of VEX robotics equipment. The 1,700 square foot student center features mobile work pods, cluster seating, and a large retractable projection screen. The dynamic floor plan provides students with a space to collaborate, socialize, and study. The center also showcases student and alumni art exhibitions. Our large, organic garden provides hands-on experiential learning opportunities for students across divisions. Parent and student volunteers help to maintain the garden year-round and donate pounds of harvested food to local food banks.